If you've ever looked in the mirror, sighed and made a beeline for your local gym, then you're certainly not alone. Around 8 million Brits are currently forking out on gym memberships and hitting the treadmill has become part of everyday life for lots of people over the last decade or so. It is, however a sad fact that while fitness clubs can be very good for your health, if you don’t read the small print carefully, then they can also be very, very bad for your finances. Some health clubs will charge a joining fee, which can be whatever they choose to charge. You will often find that membership of the club is offered with a discounted joining fee for a limited time – maybe at the beginning of the year, or after Easter. This is done to entice customers to join sooner, rather than later. Some fitness clubs will waive the joining fee completely for a limited time, while some do not charge a joining fee at all for people who work in ‘essential’ professions, such as nurses, teachers, and emergency service workers. In many cases they don't advertise this, but if you enquire and can prove you work in one of these fields, then you may well find yourself getting a good discount or not having to pay a joining fee at all! The first question you need to ask before joining a gym membership scheme is 'How do I cancel'. Many health clubs do not explain clearly the terms and conditions, especially when it comes to cancellations. 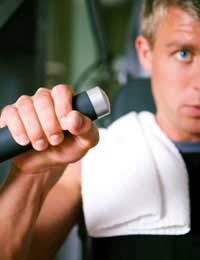 You may think that you are joining up to a monthly payment plan, when in actual fact once you have signed the form, you've committed to a credit plan - where a financial company affiliated with the gym pays your membership for you upfront and you pay them back in instalments, plus interest. If this is the type of deal you sign up to you will usually be committed to a minimum 12 month contract, which if you can cancel, you can only do so in really exceptional circumstances - such as breaking a bone or being hospitalised. Even then, you might not be able to get out of it. It’s likely that there will be different payment plans for using the gym at different times of the day (such as peak/off-peak and weekend only) and different levels of club usage depending on whether you want to use just the gym or attend fitness classes or swim. Consider whether you really will attend step class twice a week or use the pool before you sign up for the highest level. Have you been a member of a gym before? It could be expensive if you decide you don't like it. Are you sure you want to commit to 12 months at the same gym? Are you 100% happy with the gym you're signing up to - have you looked around properly, does it have all the facilities you need? Are you able to get to and from the health club easily? Are you likely to change job/move home or anything else that would take you out of the area? Can you cancel the agreement if you need to? Some gyms do include clauses that allow people to cancel their memberships, but these are not usually included in this type of agreement, so make sure you take any paperwork away to somewhere quiet that you can read it carefully before signing. Some Health Clubs will offer you a membership which charges a fixed price dependent on the period that you pay for. For example: Someone signing up for 6 months will pay £60 per month and a £40 joining fee, whereas someone who signs up for a 12 month period will pay £40 per month with a £20 joining fee. This type of deal may or may not be cancellable - it really depends on the club you are joining. Lots of fitness clubs are now avoiding the stigma of 'locking-in' customers for a minimum period as they are finding that lots of people don't want to commit to a year-long contract. Rather than this, the gym may opt to allow people to cancel with just 30 days notice. If you want to join a gym and see if you enjoy it enough to continue going, then this ‘rolling’ membership scheme can be a perfect way to get an introduction, especially if you can get them to waive the joining fee at the same time. The problem with this type of membership is that it often doesn't have an 'end' period - it just continues - which is great if you are a regular user of the facility, but can waste hundreds of pounds a year if you keep meaning to go to the gym but never quite get round to it. Keep a check on how much you have spent on NOT going to the gym – if you’ve missed a month or two it may be worth cancelling and just paying the joining fee again if and when you are ready to go back to the club.